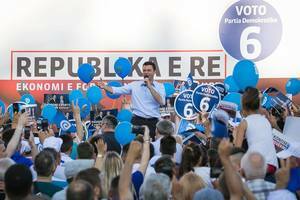 Albania’s main opposition Democratic Party, PD, has seen a historical defeat in Sunday’s general election with around 29 per cent of the votes, with around a third of all ballots counted. The projection shows that they might win seats for 42 MPs in parliament, losing eight that they won after the last general election in 2013. Currently PD’s results show that they have won in just one out of 12 electoral districts across the country, and are in third place in the Elbasan and Berat electorates. Albania’s former foreign minister and prominent figure in the Democratic Party, Besnik Mustafaj, called for the party leader, Lulzim Basha, to resign following Sunday’s general election. In an analysis published on Monday in Panorama newspaper, Mustafaj wrote that: "It is not the first time that we Democrats lost in the elections in the past 26 years, but this one was a shameful defeat," also calling for Basha to organise elections for a new party leader. 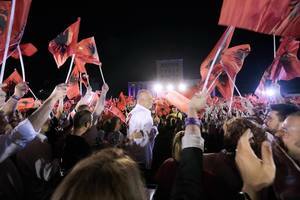 Edi Rama, the leader of Albania’s Socialist Party, PS, referred to his party’s win in Sunday’s general election as a “masterpiece” in a Facebook post on Monday. Rama included a map showing Albania’s electoral districts with his post, claiming that his party has already won over 75 seats in parliament with the votes counted so far, saying that the new reality of the country following the election is still not finished. 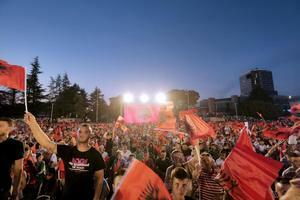 International observers announced on Monday in Tirana that while contestants campaigned freely in the lead up to the June 25 general election in Albania and fundamental freedoms were respected, the continued politicisation of election-related bodies and institutions, as well as widespread allegations of vote-buying and pressure on voters, reduced public trust in the electoral process. In a press conference, Roberto Battelli, special coordinator and leader of the short-term OSCE observer mission, said that it is disappointing that so much of what they observed was a repetition of past practices, in particular concerns related to pressure on voters, creating a negative atmosphere. 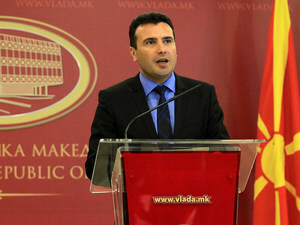 Macedonia and the EU will prepare an action plan by July 1 on short-, mid- and long-term reform goals which if Macedonia starts to fulfill, can convince the European Commission to restore its recommendation to start EU accession talks this autumn, Macedonian Prime Minister Zoran Zaev said on Monday in Skopje at a joint press conference with EU Enlargement Commissioner Johannes Hahn. On his part Hahn said that Brussels is ready to help, explaining "that's why I am here in June, that's why tomorrow Mr [Reinhard] Priebe [who drafted the urgent reform priorities on behalf of the EU back in 2015] will be here, the day after people from my general directorate will be here in order to assist the government and all the others in the administration to make the necessary progress, because we have a joint aim." The Skopje Criminal Court on Tuesday postponed until September the trial against Macedonia’s new Prime Minister Zoran Zaev, who is charged over allegedly soliciting about 200,000 euros in a bribe from a firm in Strumica, where he served as mayor. 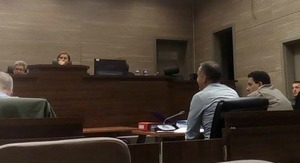 Zaev’s defence filed a request that a video recording which appeared on YouTube back in 2015 of his client talking to a businessman from Strumica, be excluded from the evidence. The charges, which Zaev calls politically motivated, were filed in March 2015, two months after he and his Social Democratic Party, SDSM, then in opposition, revealed a massive wiretapping scandal. Albania’s Socialist Party will celebrate its success in Sunday’s general election at 6:30pm today with a party in Tirana’s Skenderbeg Square, with its leader, Edi Rama, to deliver a victory speech. After winning 74 out of 140 seats in parliament, the Socialists will now be able to form a government on their own, having ruled the last four years in a coalition with the Socialist Movement for Integration, LSI. 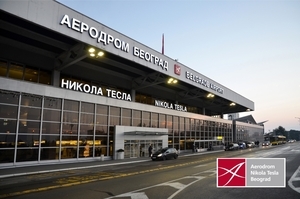 Serbian branch of Transparency International sued the government of Serbia for its refusal to publish copies of documents relating to the concession for the management of Belgrade’s Nikola Tesla Airport. After the government announced a public invitation for the granting of a concession, Transparency Serbia asked the government and the Ministry of Construction, Traffic and Infrastructure to deliver the feasibility study and concession act, but the government did not comply, regional TV N1 reports. Kosovo’s President, Hashim Thaci, congratulated his Serbian counterpart Aleksandar Vucic on his new position today via a telephone conversation in which the leaders also discussed and agreed to continue the dialogue on normalization of relations between Kosovo and Serbia. Thaci also said after the call that he and Vucic had agreed to work together on resolving all issues between their countries, taking their mutual interests into consideration. German NGO Rigardu said it has documented the alleged beating and mistreatment of refugees by Croatian police officers on the border with Serbia and on the border with Slovenia in June. Read more. The UN special envoy in the Macedonia-Greece 'name' dispute, Matthew Nimetz, will visit Skopje at the end of this week as Macedonia seeks to revive its stalled Euro-Atlantic integration bid. Read more. Russian Deputy Prime Minister Dmitry Rogozin has intensified the Kremlin’s threatening rhetoric against Montenegro over its NATO membership – but was he attempting to scare Serbia too? Read the full comment. Four people died in the central Romanian town of Focsani during a clash between two criminal groups overnight, in what the police has deemed the most violent incident in the country in recent years. The incident was triggered by an attempt by one Romani clan to marry off a woman to a different clan, although she already had two children with a member of her own clan. Only one of the nine suspects indicted for planning a terrorist attack on the Israeli football team and its fans at a World Cup qualifying match against Albania in 2016 pleaded guilty on Wednesday during the first hearing of this case. The group of nine suspects is charged with preparing a terrorist attack, allegedly on the orders of commander of Albanian ISIS fighters, Lavdrim Muhaxheri, who was reported to have been killed earlier this month by a US drone strike in Syria. Bulgarian President Rumen Radev told his Romanian counterpart during an official visit to Bucharest on Wednesday that he is willing to apply the country’s anti-corruption model in Bulgaria. "We have to borrow these principles and drastically curb corruption in Bulgaria," Radev said. Romania’s Ministry of Justice launched a public debate today on revising the Penal Code aimed at changing the definition of abuse of office, a measure that has been criticised by both prosecutors and the opposition. The move was initiated after the Constitutional Court asked the government to set a limit that can tell whether a certain offence can be considered abuse of office or not. Romania’s consolidated general budget, which includes both the state budget as well as the pension and unemployment budgets, revealed on Wednesday a deficit of 475.5 million euros in the first five months of this year, which is 0.27 per cent of the GDP. The budget deficit is three times bigger than the same period in 2016. The Skopje Criminal Court on Wednesday postponed the scheduled resumption of the trial against Macedonia's former Prime Minister, Nikola Gruevski, and 13 others accused of ordering an attack on an opposition mayor and his municipality HQ in 2013, until September 28. The indictment and the trial follow the release of batches of wiretapped conversations by the then opposition Social Democrats in early 2015, which escalated Macedonia's deep crisis. Analyst says the appointment of a quarrelsome hard-line nationalist to such a sensitive post sends a worry message to the region. Read more. While Slovenia is already hailing the expected ruling of the Permanent Court of Arbitration as 'historic', Croatia has made it clear it will not recognise the decision of a court that it calls 'compromised'. Read more. The spammers from the little Macedonian town of Veles - who gained cash and notoriety for promoting fake news about Donald Trump - fear their lucrative business is fading away. Read more. he spammers from the little Macedonian town of Veles - who gained cash and notoriety for promoting fake news about Donald Trump - fear their lucrative business is fading away. 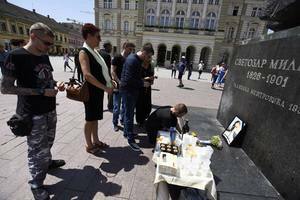 Friends and family of Dimitrije Sasa Jojic, a Serb killed in Syria, gathered in the centre of hometown in the northern Serbian city of Novi Sad to commemorate his death on Wednesday. Serbian daily Blic reported that Jojic was fighting on the pro-Russian side, against jihadists, and was killed on June 20. Kosovo Albanian Albert Veliu is among eight people charged with laundering around 800,000 in drug money, extortion, and international arms trafficking, the US Attorney for the Eastern District of New York announced on Wednesday. The New York Daily News reported that Veliu was allegedly caught on a wiretap arranging the arms deal, with authorities saying that he used a code in which assault rifles were "sneakers" and a rocket launcher was a "Shaq-sized sneaker", referring to the nickname of US basketball player Shaquille O’Neal. The Germany embassy in Zagreb issued a press release in the name of its government on Thursday, in which it emphasised the importance of international arbitration courts as instruments of international law, amid Croatia's stance of ignoring the decision in a territorial dispute with Slovenia over waters in the Piran Gulf before the Permanent Court of Arbitration in The Hague. The embassy also mentioned that both countries signed an agreement on the arbitration process and therefore both sides must accept the court's decisions and implement them. One woman was killed during a storm that hit the northern Serbian city of Novi Sad, regional television N1 reported. She died when a tree fell on her car and an 83-year-old passenger was seriously injured. 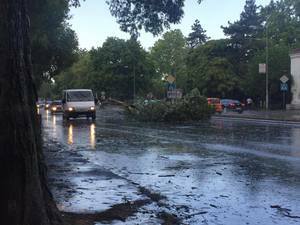 Novi Sad was hit on Thursday by a short but powerful storm which uprooted trees in some parts of the city. The chairman of Albania’s Socialist Movement for Integration, LSI, Petrit Vasili, resigned today, four days after the general elections in which his party secured 19 seats in parliament (three more than they had), but lost its kingmaker role as a result of Edi Rama’s Socialist Party’s huge victory. Vasili was elected as chairman in May after LSI’s longstanding leader, Ilir Meta, became President of Albania by a vote in parliament. 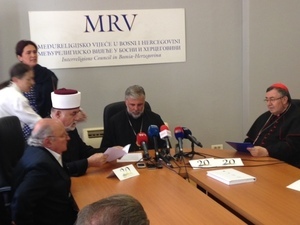 Bosnia’s Interreligious Council is marking the 20th anniversary of its establishment on Thursday by signing a declaration aimed to fight the stigmatisation of victims of sexual violence during the Bosnian war. The Council, consisting of the leaders of the Serb Orthodox, Muslim, Catholic and Jewish communities in Bosnia, was established in 1997 to further reconciliation and interreligious dialogue. “This declaration will surely not solve all the problems we have, but it will be surely help us to have an easier time looking into each other’s eyes and to try and mend the wounds of those who suffered in the past war,” Jakob Finci, former head of the local Jewish community and founding member of the Council, said. Kosovo’s Central Election Commission announced the final results today of the general elections held on June 11, with the winning coalition between Kosovo Democratic Party, PDK, the Alliance for the Future of Kosovo, AAK and the Initiative for Kosovo, NISMA, having won 33.74 per cent of the votes, or 39 seats in parliament. Runner-up is the Vetevendosje [Self- Determination] movement with 27.49 per cent of voter support, or 32 seats in parliament, followed by the Democratic League of Kosovo in a coalition with Alliance New Kosovo, AKR, and Alternative, scooping 25.53 per cent, or 29 parliament seats. 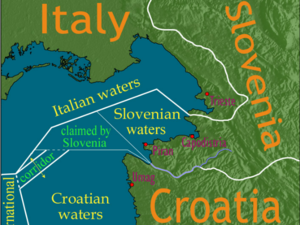 The Permanent Court of Arbitration in The Hague ruled in favour of Slovenia in the country’s dispute with neighbouring Croatia over territorial waters in the Piran Gulf, a decision which Croatia has already stated it will ignore due to a scandal of secret talks between representatives of the Slovenian government and a judge in the court. The court decided that Slovenia will be granted around three quarters of waters in the Gulf and a free corridor through Croatian waters to international waters. The Appeal Court in Kosovo’s capital, Pristina, decided on Wednesday to release on bail the alleged Balkan drug boss Naser Kelmendi, who is charged with murder and narcotics, his lawyer, Besnik Berisha, confirmed for BIRN today. Kelmendi was also released in February and placed under house arrest, but the appeals court put him back behind bars a few days later. The ruling majority in Montenegro’s parliament stripped opposition MP Nebojsa Medojevic of his immunity from prosecution over alleged involvement in money laundering. Special prosecution previously issued a detention order for Medojevic, the leader of the pro-Russian Democratic Front. 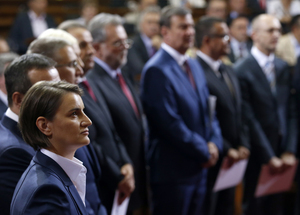 New Serbian government led by Prime Minister Ana Brnabic sworn in on Thursday, after Serbian parliament approved the new cabinet with 157 “yes” votes, and 55 “against”. 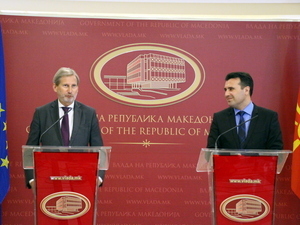 Brnabic’s government includes several new ministers – Socialist Party’s Branko Ruzic, a minister for public administration, Goran Trivan, environment minister, the pro-Russian Nenad Popovic, a minister without portfolio in charged for “innovations” and Jadranka Joksimovic, the EU integration minister. 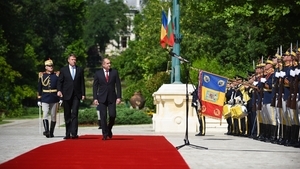 Minister of Defense Zoran Djordjevic and Minister of Labour Aleksandar Vulin switched places, and most other ministers remained at the posts they held in previous government. Controversial Serbian sports commentator, TV host, and government critic, Dejan Andjus, has been arrested in Belgrade, police told BIRN. He was allegedly arrested for extortion, according to the Serbian daily tabloid Blic. Andjus had recently become a critic of Serbia’s President Aleksandar Vucic, whom he accuses of having ties with soccer hooligan groups. The leader of the Democratic League of Kosovo and acting Prime Minister, Isa Mustafa, has left the possibility open of entering into a ruling coalition with three parties: Vetevendosje, Alliance for the Future of Kosovo, AAK and the Initiative for Kosovo, NISMA, but not including Kadri Veseli's Democratic Party of Kosovo, PDK, which entered the pre-election coalition with AAK and NISMA. “The underlying question is what changes the country needs? The answer as LDK will be sought in our internal dialogue, talks with Vetevendosje, AAK and NISMA. We will look to the future. If we agree on our concepts and if we get to find common ways, then the solution will be common,” Mustafa wrote on Facebook on Thursday.